Is your Center Line garage door broken? Get it fixed today! Your garage is more important than you might give it credit. How many of you enter your house through your garage? For many people it serves as a front door, and it is used more than their front door. Others turn their garage into their personal space and furnish it like a second living room. Or the true outdoor types use the garage as their collection of all things car, lawn, and home care. Whether your garage is your second home or your place for hobbies, having a broken garage door is an inconvenience. Keep an important part of your home functioning to its best with garage door repair Center Line from Taylor Door Co.
Taylor Door is Metro Detroit’s store for anything doors! So when it comes to garage door repair Center Line, look no further than Taylor Door. If you call before 11 a.m. we can even provide same day service! Besides a guaranteed same day fix, why else should you choose Taylor Door? Taylor Door has some of the most durable garage doors available in the industry. So whether you need your garage door completely replaced, or just repaired, Taylor Door has the best doors and parts for the job. And Taylor Door never makes you pay more than $300 for a repair! So what are you waiting for? Choose from wood, glass, and steel garage doors. 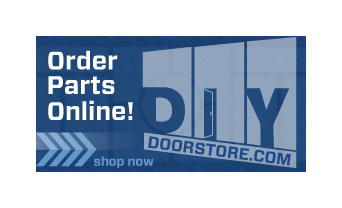 Pick your own design, and get the garage door repair Center Line you need today! Complete your newly fixed garage door with a garage door opener! Taylor Door can help make your garage door repair Center Line easy and affordable. From entry doors, to garage doors, to commercial doors, Taylor Door can help you create and install the perfect door for your home or business. 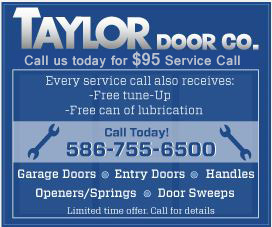 And if you already have the door you love, but it needs a little TLC, Taylor Door will repair it for you! Choose from Michigan-made Taylor Door doors, or other brands, such as, Masonite. Your garage door is what you make it, or re-make it! Request a free quote today or call us at 1-800-NEW-DOOR.